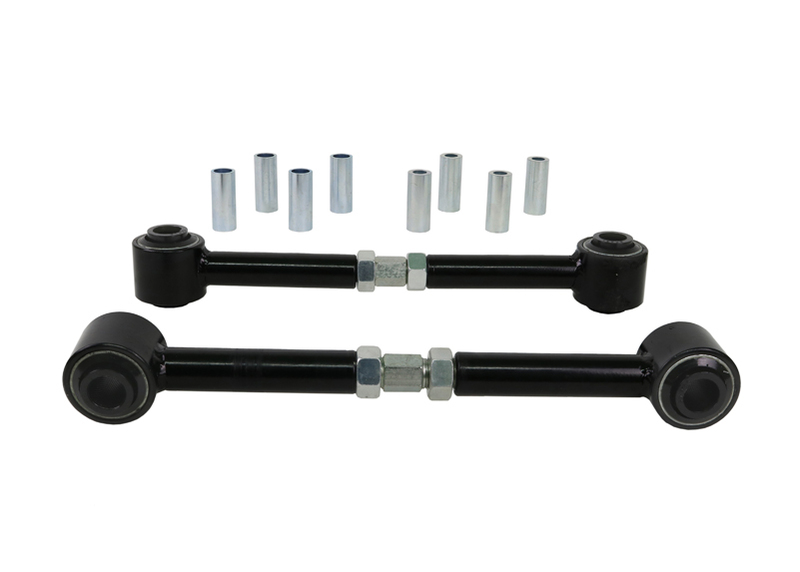 Heavy duty turnbuckle adjustable trailing arms provides incremental on car adjustability of differential pinion angle. 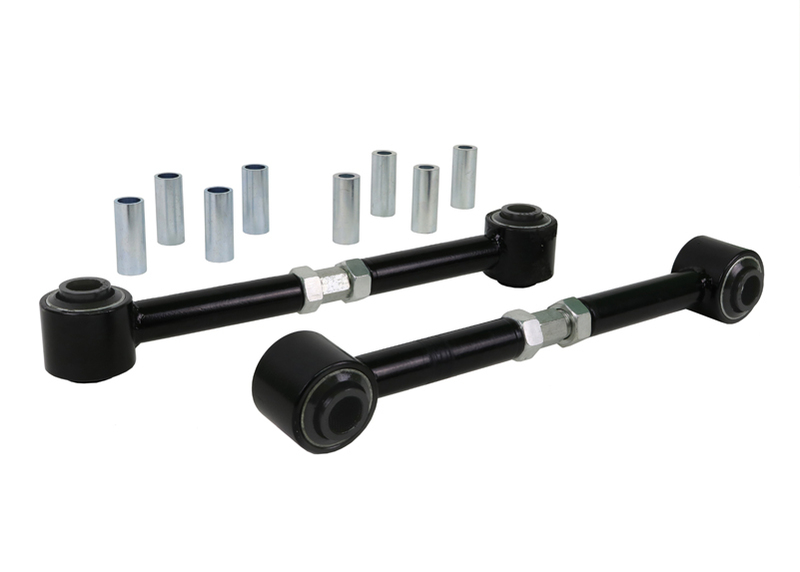 This allows you to dial in more or less traction under heavy acceleration. 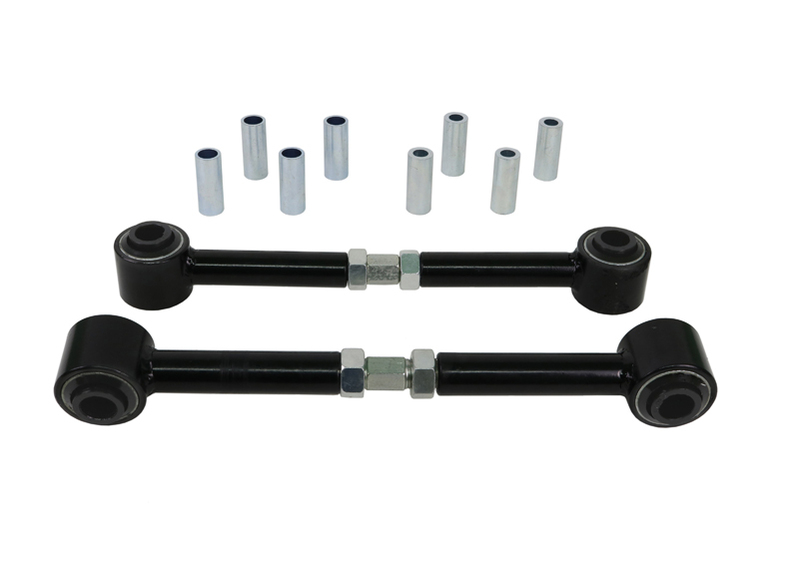 Best matched with Whiteline's heavy duty lower trailing arms for optimum performance. in/lbs 11.266lbs 16" 8" 4"